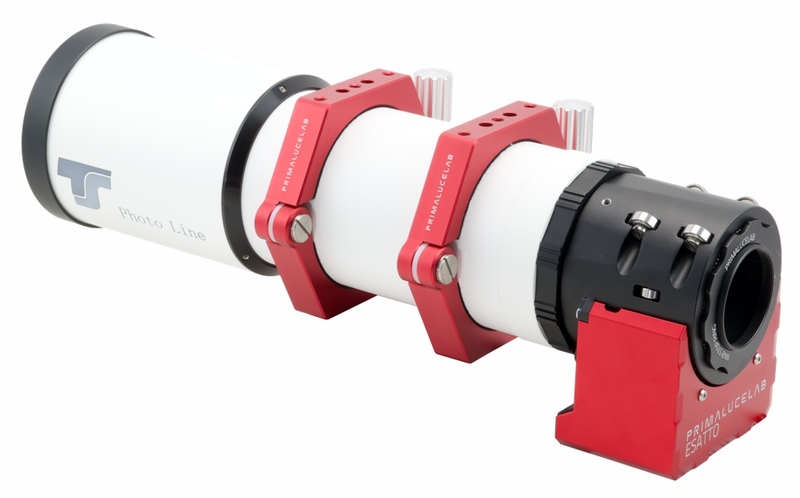 TS-Optics Photoline FPL-53 80mm f/6 triplet apochromatic refractor is a highly corrected, fast apochromat. 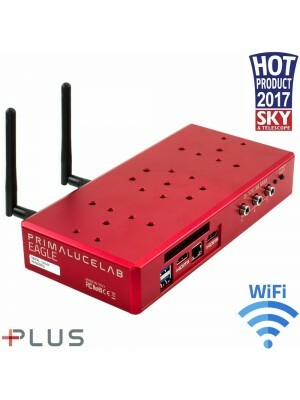 It's perfect for the most demanding astrophotography application but it's also compact and this make it a perfect traveling telescope. Even at higher magnification, the image has no chromatic error, with excellent correction at the same time. 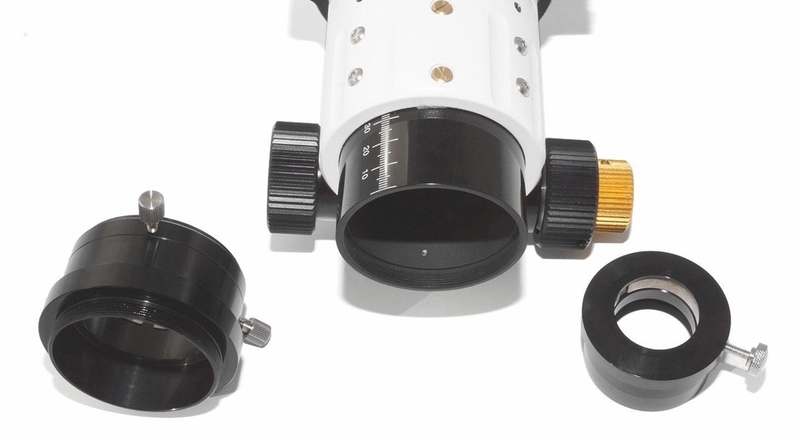 It is one of the best and fastest 80 mm apochromatic refractor in the market. The fast focal ratio of f/6 not only keeps the refractor very short, it also provides short exposure times for astrophotography. - Oversized drawtube with 60mm clear aperture for full illumination even if full-frame sensors are used. 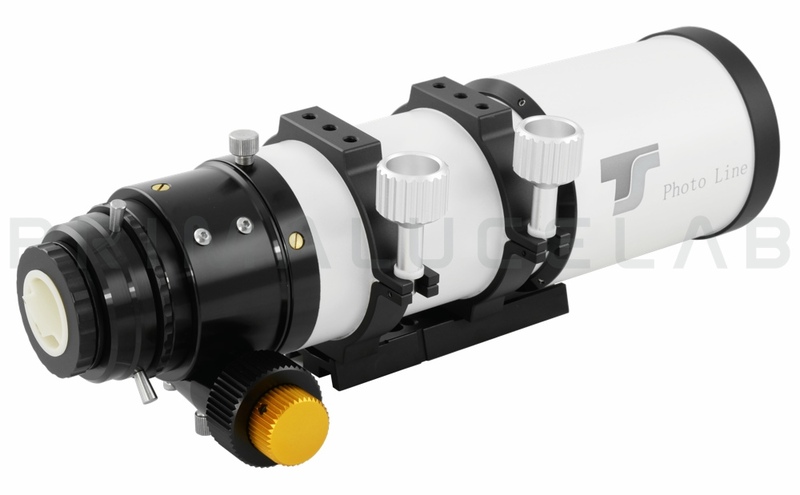 - TSFlat2 - universal 2" field corrector without change of the focal length: the corrector is directly inserted into the receptacle and locked with the adapter kit. The working distance is 123 mm from the M48 thread of the corrector. We recommend the TSFlat2 for cameras with sensor sizes up to APS-C format. - TSFlat2,5 - 2.5" field corrector without change of focal length: the corrector is screwed to the M63 thread. For this, the adapter M63a-Flat25 is necessary. The working distance from the M69 thread of the flattner is 106 mm. We recommend the TSFlat2,5 for cameras with full-frame sensors. - TSRed279 - 2" Photoline reducer and corrector: The 0.79x corrector reduces the focal length of the apochromat to 379 mm and increases the speed from f/6 to f/4.74. The reducer is directly clamped by the 2" receptacle. The working distance from the T2-thread is 61 mm. - TSRed379 - 3" Photoline reducer and corrector: This 0.79x corrector also reduces the focal length to 379 mm and increases the speed to f/4.74. The working distance from the M48 thread is 61 mm. The reducer is screwed to the M63 thread. For this, you need the adapter M63a-M68i. We recommend the reducer for CCD cameras with larger sensors and for DSLR cameras with full-frame sensors. 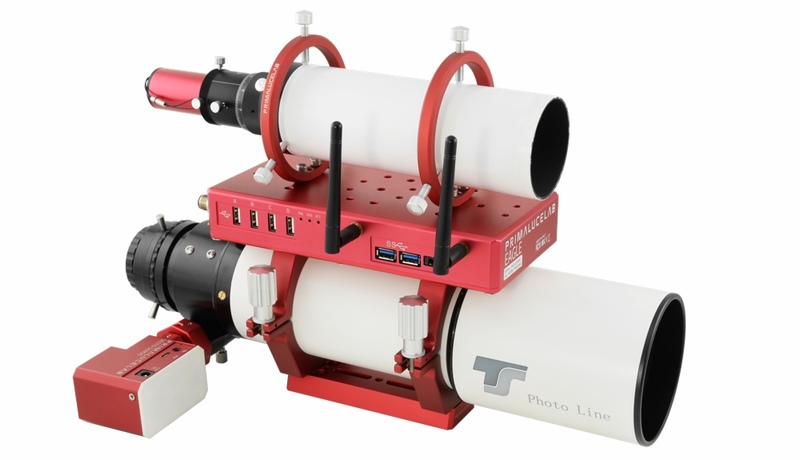 TS-Optics Photoline FPL-53 80mm f/6 triplet apochromatic refractor with EAGLE installed in parallel thanks to 90mm PLUS support rings. On top of the EAGLE is installed the 60mm CompactGuide scope with PLUS guide rings and on the focuser there's SESTO SENSO, the robotic focusing motor for focusers, by adding the 33mm adapter for SESTO SENSO.